A 10-minute drive from Innsbruck's centre, Hotel Gasthof Stefansbrücke offers panoramic views of the Tyrolean mountains. Parking places and a parking garage are available free of charge. The restaurant (open in the main season from May to October) serves traditional regional and Austrian cuisine. Hotel Stefansbrücke also features a sun terrace, an internet terminal, a children’s playground, and a drying room for motorbikers' clothing. The spacious rooms are furnished in a modern style and offer Wi-Fi access. A bus stop is right in front of Hotel Stefansbrücke. Bus line 4140 takes 15 minutes to Innsbruck Main Train Station. You will receive a Guest Card on arrival, offering free use of this bus line and other public transport around Innsbruck. The Innsbruck-Süd motorway exit is only a few minutes' drive away. Located in Innsbruck (Igls), Eagles Inn is within a 15-minute walk of Patscherkofel Mountain Bahn and Wipptal. This 4-star hotel is 4.9 mi (7.9 km) from Golden Roof and 7.5 mi (12 km) from Nordkette Cable Car. 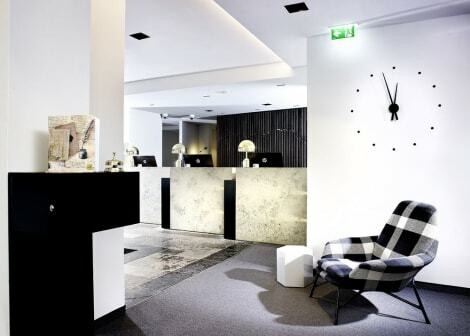 A 10-minute tram ride from Innsbruck’s Old Town, Hotel Kapeller offers modern rooms furnished in pastel colours. It also offers free Wi-Fi, free on-site private parking and a rich buffet breakfast. Hotel Kapeller Innsbruck's rooms are quietly located and feature large windows, some offering views of the surrounding mountains. All rooms features a flat-screen TV and a minibar. Bathrobes can be provided upon request. The centre of Innsbruck can be reached by tram line 3, which stops 200 metres away. The Innsbruck-Ost exit of the A12 motorway is a 1-minute drive away. 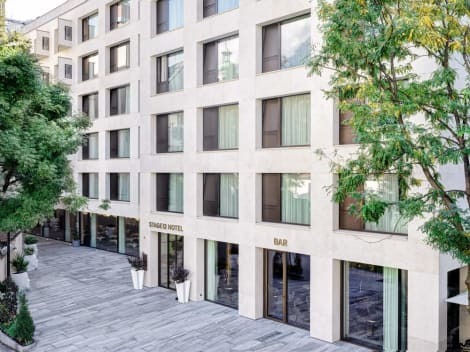 With a stay at Ramada Innsbruck Tivoli in Innsbruck (Innsbruck-Land District), you'll be within a 10-minute drive of Golden Roof and Wilten Abbey. This ski hotel is 4.4 mi (7.1 km) from Nordkette Cable Car and 15 mi (24.1 km) from Seefeld Ski Area. The building is historic and was built in the 15th century. The entrance overlooks the pedestrian area and shops close by. After a day on the slopes, enjoy recreational amenities including a casino and a sauna. Additional features at this Mediterranean hotel include complimentary wireless Internet access, concierge services, and babysitting/childcare (surcharge). The complimentary ski shuttle makes getting to the slopes a breeze. Satisfy your appetite for dinner at the hotel's restaurant, or stay in and take advantage of the room service (during limited hours). Quench your thirst with your favorite drink at the bar/lounge. Buffet breakfasts are available daily from 6:30 AM to 11:30 AM for a fee. Make yourself at home in one of the 47 air-conditioned rooms featuring minibars and flat-screen televisions. Complimentary wireless Internet access keeps you connected, and satellite programming is available for your entertainment. Bathrooms have complimentary toiletries and hair dryers. Conveniences include phones, as well as safes and blackout drapes/curtains. lastminute.com has a fantastic range of hotels in Innsbruck, with everything from cheap hotels to luxurious five star accommodation available. 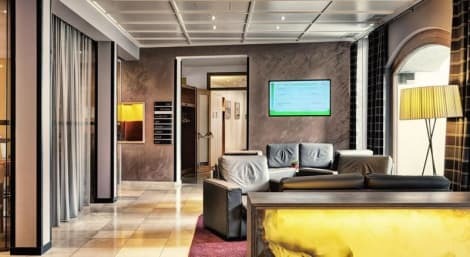 We like to live up to our last minute name so remember you can book any one of our excellent Innsbruck hotels up until midnight and stay the same night.